A practical and sleek storage box for coins, notes, or postcards. Flexible storage system thanks to the three internal removable dividers. Metal handle with label holder. 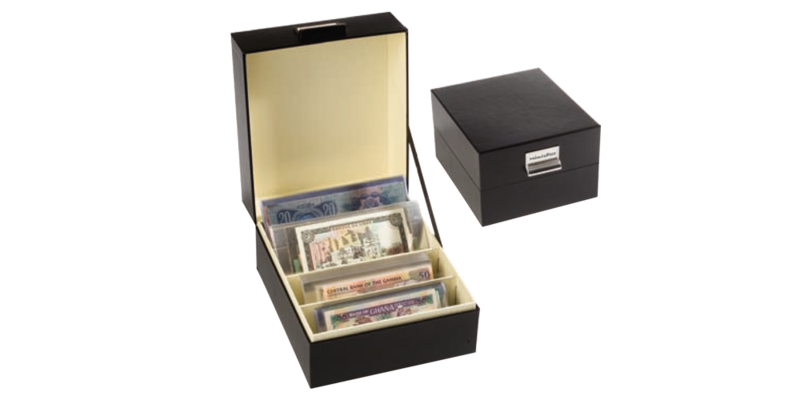 This high quality Black Logik Archive collector's box is for safely storing stockcards, approval cards, letters and postcards up to A5 in size, within 3 moveable inner divisions. The high stability provides permanent protection, with metal label holder with lift-up edge as a handle for easy opening.